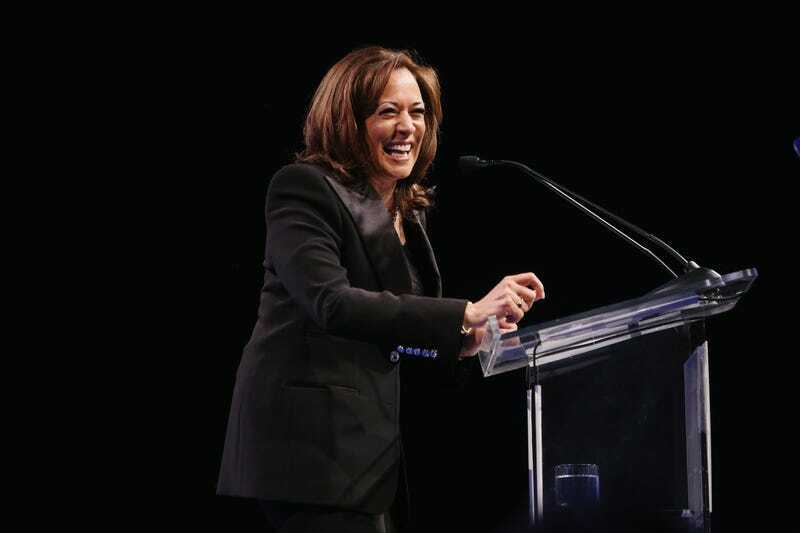 United States Senator Kamala Harris speaks onstage during the The Human Rights Campaign 2019 Los Angeles Gala Dinner at JW Marriott Los Angeles at L.A. LIVE on March 30, 2019 in Los Angeles, California. Nearly three months removed from announcing her candidacy for president, it looks like Sen. Kamala Harris’ campaign is off to a strong start. On Tuesday, her campaign announced that she raised $12 million during the first fundraising quarter of the 2020 campaign season. Of the $12 million raised, more than half came from digital contributions, including $1.1 million in the last week of March alone. The average online contribution was $28, and 98% of those who contributed gave less than $100. Since launching her campaign on January 21, Harris has adamantly refused to accepted money from corporate PACS and federal lobbyists. She is only soliciting funds for the primary election. Harris has also received more than 11,000 individual contributions from educators, demonstrating ardent support for her recently announced plan to modernize teacher salaries. With a price tag of $315 billion, this would be the largest federal commitment to teacher pay in history and would provide teachers with an average pay increase of $13,500 by the end of her first term. Harris’ campaign also states that more than 99% of her current donors can contribute again without hitting the $2,800 limit.